When we bought four tickets to Cuba a few months ago, I was giddy with excitement, but I was also a bit naive on the situation for Americans traveling to Cuba. I knew Obama had just announced he was working on restoring relations with Cuba, but let’s be honest – I didn’t know exactly what that meant. “Mr. Obama’s decision will ease travel restrictions for family visits, public performances, and professional, educational and religious activities, among other things, but ordinary tourism will still be banned under the law. Mr. Obama will also allow greater banking ties, making it possible to use credit and debit cards in Cuba, and American travelers will be allowed to import up to $400 worth of goods from Cuba, including up to $100 in tobacco and alcohol products.” from the The New York Times. So, should we go to Cuba? 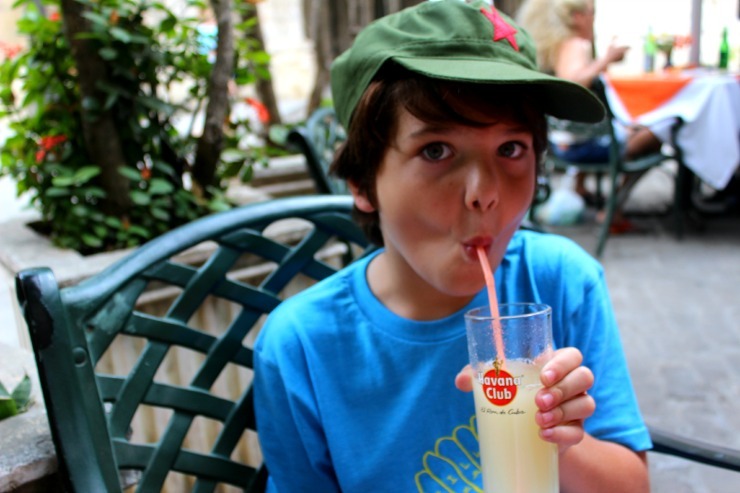 Was it okay to take the kids to Cuba? I voted for Obama, so clearly I get to go to Cuba! I’ve never been afraid to take my kids anywhere. We took our kids to Guatemala and had an incredible time. But Guatemala, although known to be a little dangerous, certainly was not off limits to Americans for the last 50+ years. 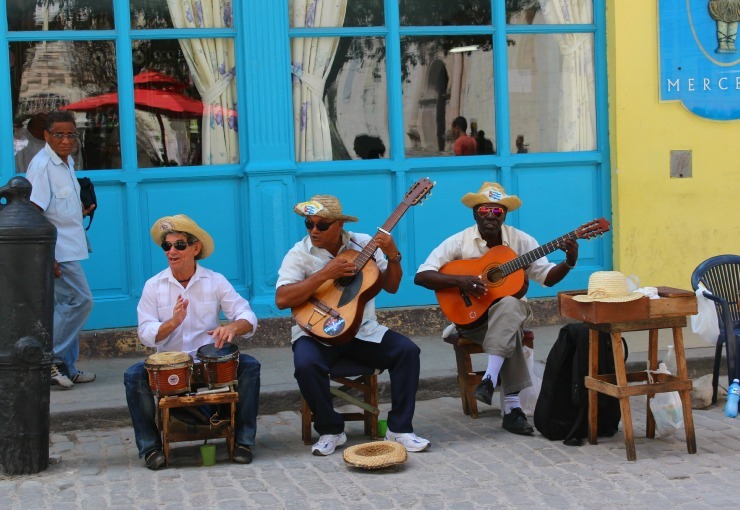 Once we started to research Cuba, we found plenty of European tours and Canadian booking services, traveling to Cuba as a Canadian or European is no big deal. Searching for Cuba hotels on TripAdvisor was not like searching for hotels in other destinations, many of them did not have pictures or prices listed and you certainly could not book through any American booking websites. We needed to contact many of the hotels directly or book through a travel service such as the Cuba Travel Network. When booking a hotel in Cuba, you cannot have anymore than three people to a room. So yes, a family of four needs to book two hotel rooms. This will be frustrating and a bit more challenging when searching for a hotel in Cuba. It’s not as easy as hotels.com that’s for sure. When you do search for room availability just be sure to select one room for two people, twice. Some hotels have family suites, that will accommodate a family of four, but we discovered this by talking to the hotels over the phone directly. It’s old school but picking up the phone served us very well. If you do not speak Spanish, you’ll want to learn the phrase “Habla ingles?”. Usually they will find someone that knows a little English to help you. We flew from Costa Rica on Copa Airlines to Panama City and then to Havana, Cuba. When we got to the gate in Panama City, we were told we had to buy a Visitors Visa for $20 and fill out a form (for each of us) for our reason for visiting Cuba. Our reason for visiting was journalism, since I am a travel writer and would be doing research and writing about our trip to Cuba. You can not pay for anything in Cuba with American money and you can not use any American credit cards. They will exchange American money at the airport and at the banks in Cuba, but I recommend exchanging your money at the airport. 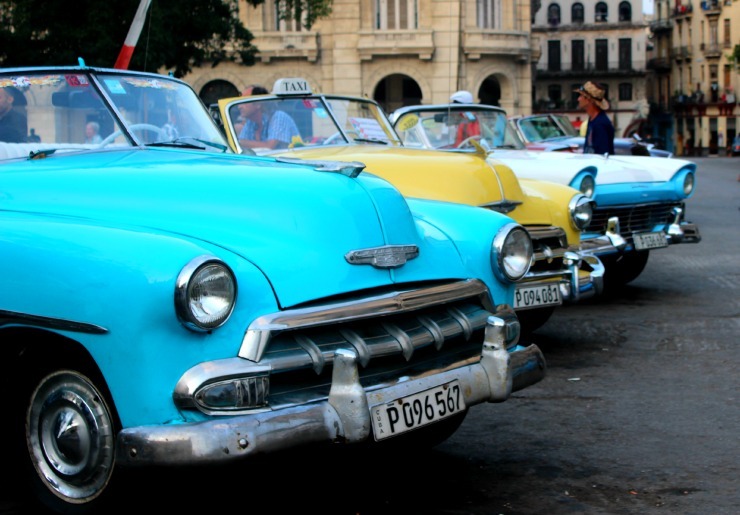 The lines at the banks in Havana were out the door and down the block, you’ll be waiting in line a very long time. When we exchanged our money at the airport the rate was 97/100 but there was a 10% exchange rate, so we got 87 Cuban “Convertible” Pesos for $100 American dollars. You need to budget and bring enough cash that you think you will need for the time you are in Cuba. For a family of four we planned for $300 a day to be on the safe side. Happily we spent way less than this per day! 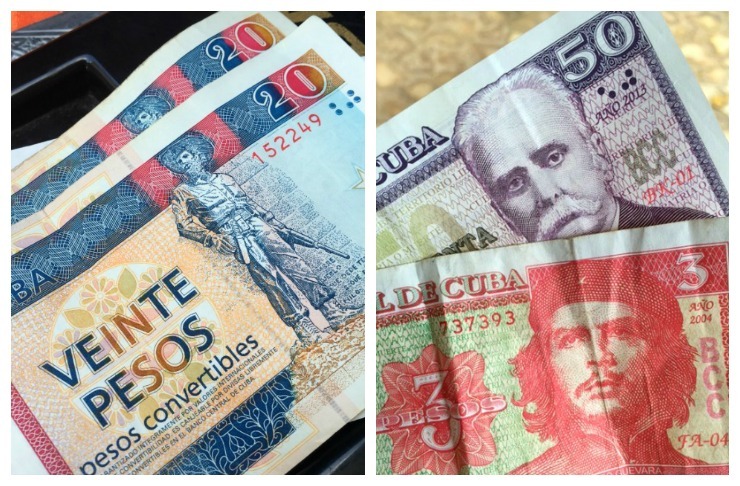 Travel Note: There are actually two currencies in Cuba one that is exchangeable and one that is not. “Convertible Pesos” and Non-Convertible Pesos. The currency that is not convertible is only good in Cuba. Those are the pesos on the right side of the picture (with the faces). So you need to be careful when Cubans are giving you back change. Once on the ground in Cuba, we made our way through customs and found a friendly taxi driver who helped us over to the money exchange counter. He patiently waited for us and then brought us to his car. He charged us 35 pesos to take us to our hotel in Havana. It seemed like a fair price to us, and it was 11:00pm at night and after a long day of traveling, we were not about to haggle on the price. This would be the first of many “Oh! Americanos!” We would hear over the next week…. I then silently prayed this guy was really taking us to our hotel. 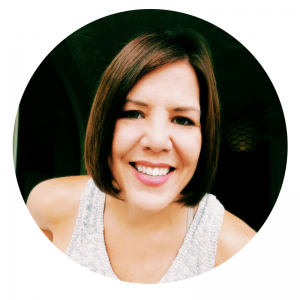 Disclosure: I am a travel professional and traveled to Cuba as a journalist for education and research. I am not an expert on the international law or personal requirements for traveling to Cuba. What was it about Cuba? You will love it – great idea for your 40th Birthday! Great insight into Cuba. I’m curious if you checked airbnb when looking for a place to stay. This might be a dumb question, can US citizens fly to Cuba? From the Chicago area? Any info would be greatly appreciated! Paul, I believe you still need to fly through Mexico, Canada or Central America but flights are suppose to open up in 2016 – flying directly from the US. I am sure flights from New York and Florida will be first to open. I know cruise ships are already in the works from Florida.